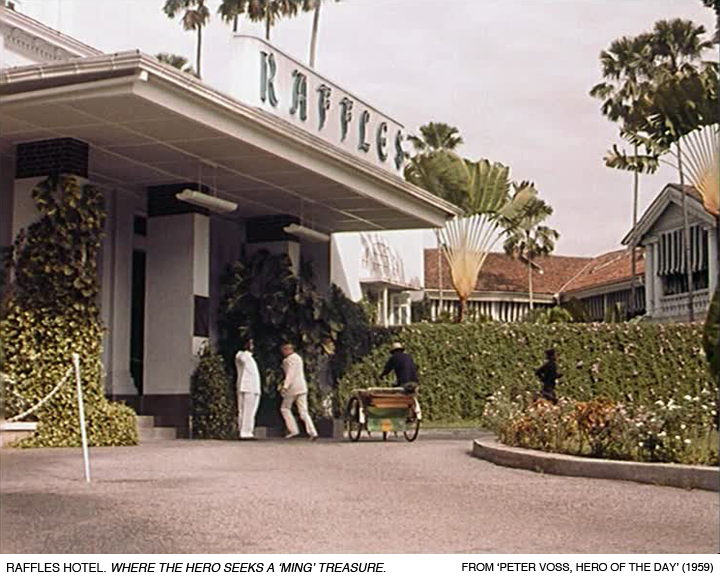 PETER VOSS, HERO OF THE DAY WAS THE SEQUEL to the popular film Peter Voss, Thief of Millions (directed by Wolfgang Becker, 1958), which was in turn inspired by the similarly titled 1931 comedy crime novel by Ewald Gerhard Seeliger. 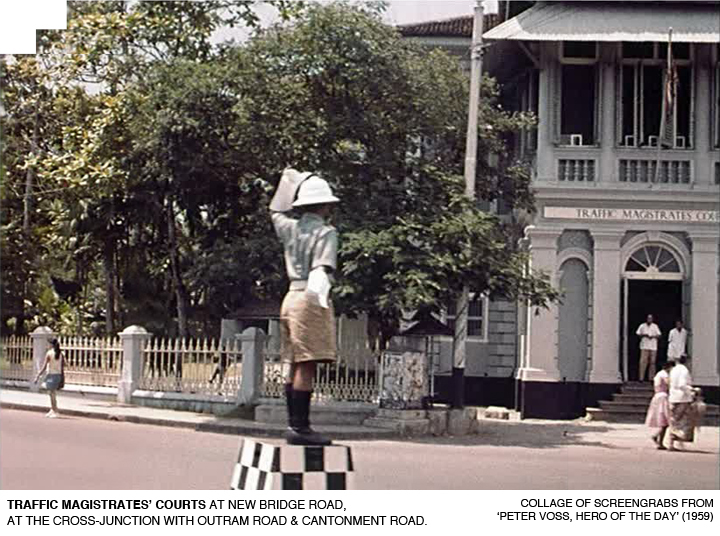 Actor O. W. Fischer reprised his role as Peter Voss the smooth-talking banker from the first installment. 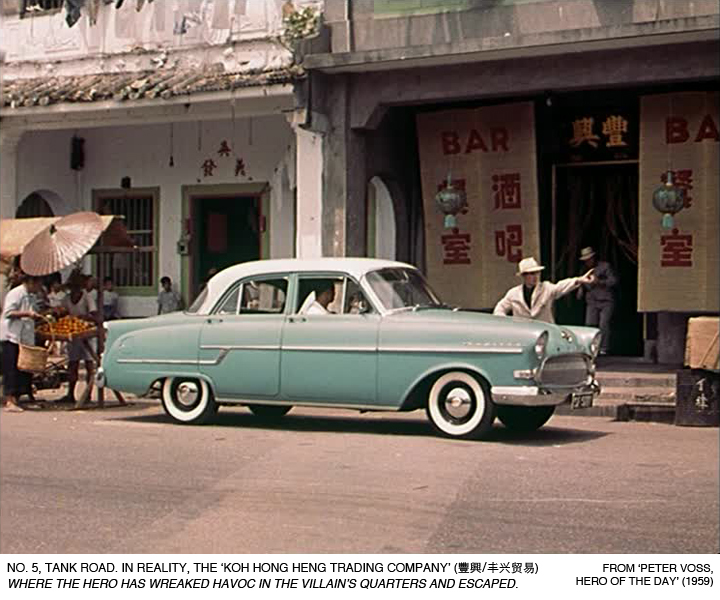 In Hero of the Day, Voss was hired to hunt down eight precious “Ming dynasty” wooden horses that were stolen by an organization of gangsters hailing from many countries; the loot was divided and the horses ended up in many separate places. 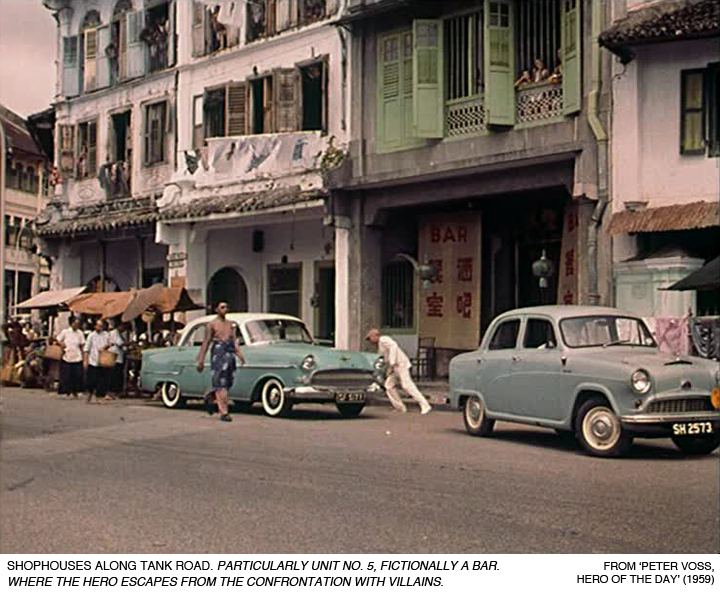 This gave Voss an opportunity to travel around the world, ala James Bond-style, to investigate and reclaim the stolen goods (this was before the first James Bond film had even been released, in 1962.) 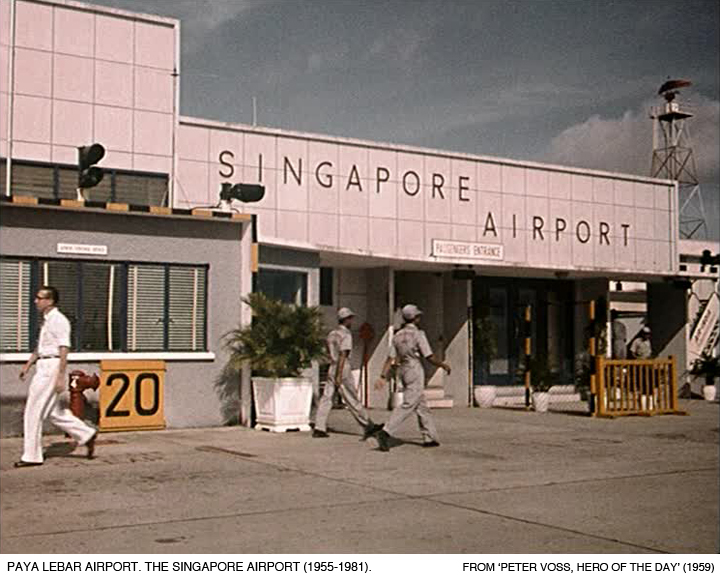 The globetrotting search led Voss to North Africa, Las Vegas, India and Singapore. 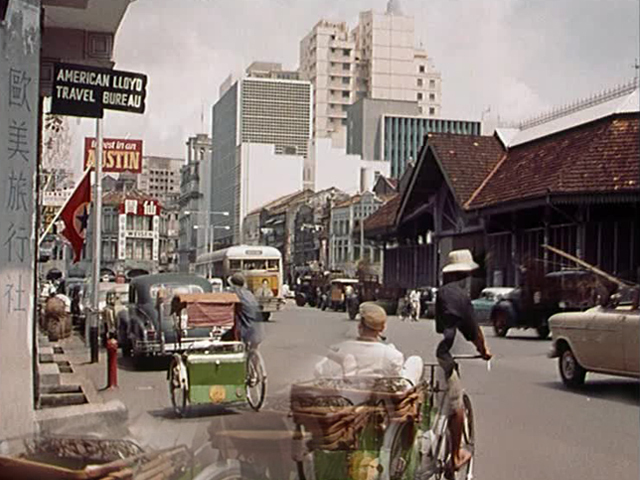 Upon arrival in Singapore, he gets himself acquainted with the tropical city by going on a trishaw tour, passing Robinson Road, Upper Chin Chew Street, Upper Circular Road, Telok Ayer Street and New Bridge Road. 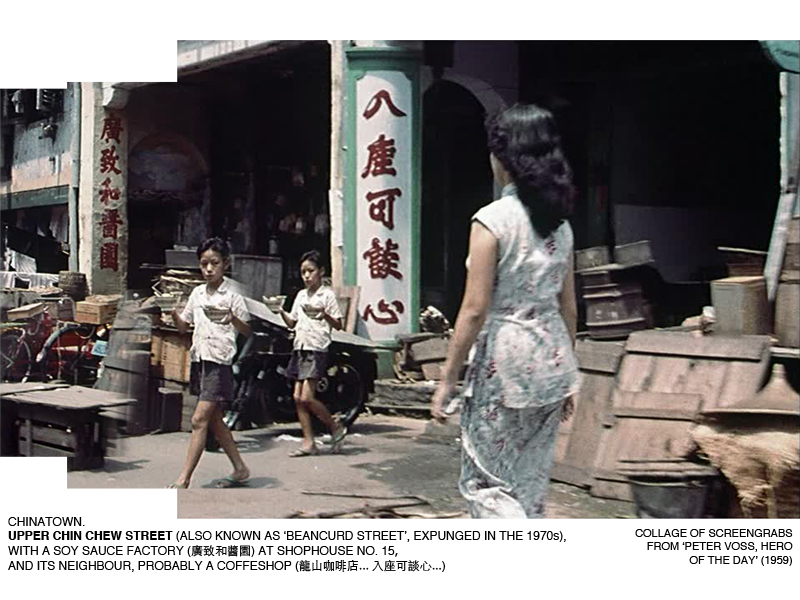 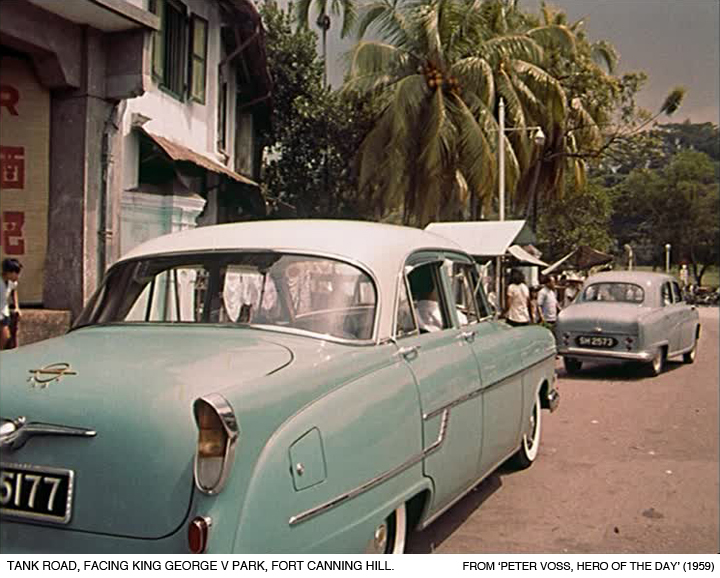 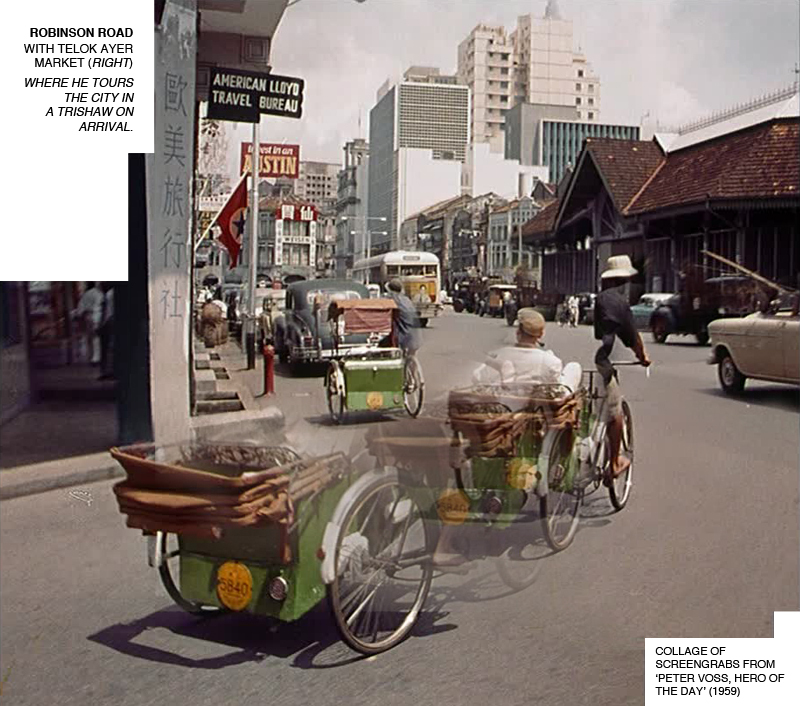 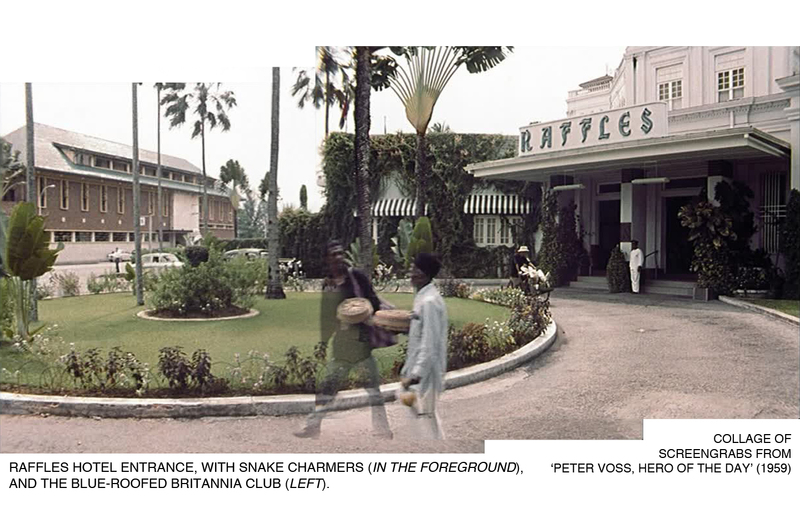 (This is a rather intriguing sequence for we get a glimpse of how downtown Singapore appeared in the late 1950s, in colour!) 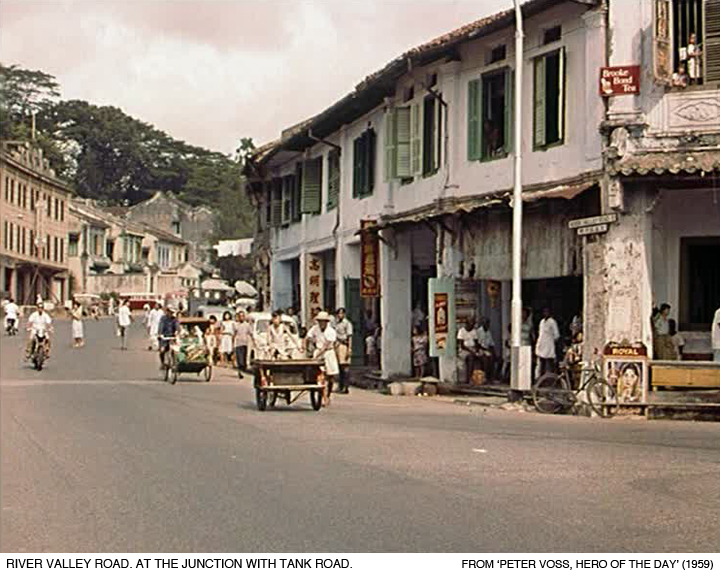 After some undercover work, Voss eventually found the gangsters’ lair and the stolen horse to be hidden in a shophouse at the junction of River Valley Road and Tank Road.